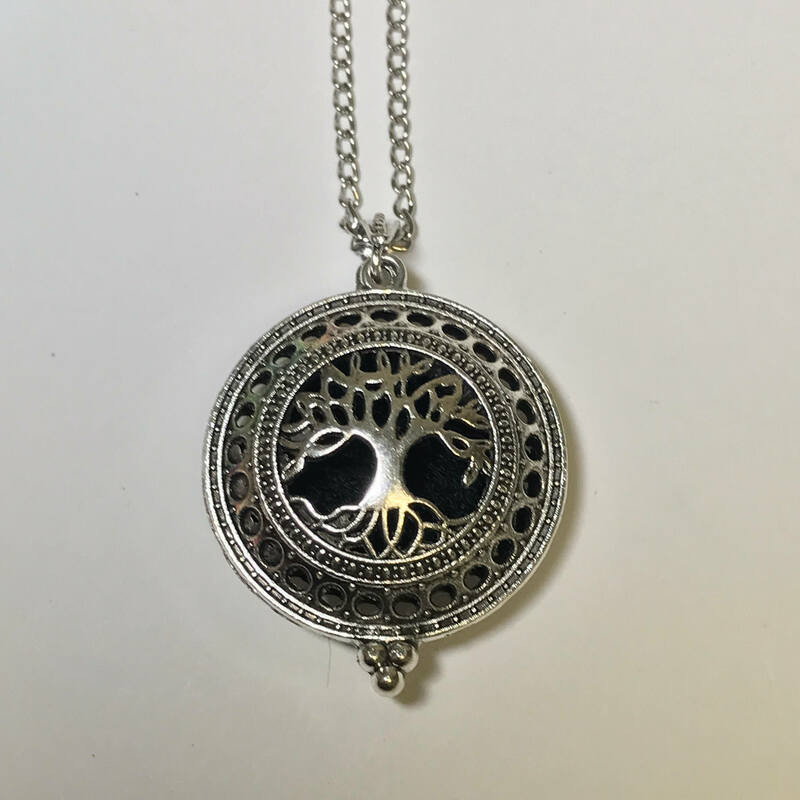 Many people associate the tree of life with the connection between all things, the Sun, the Earth. 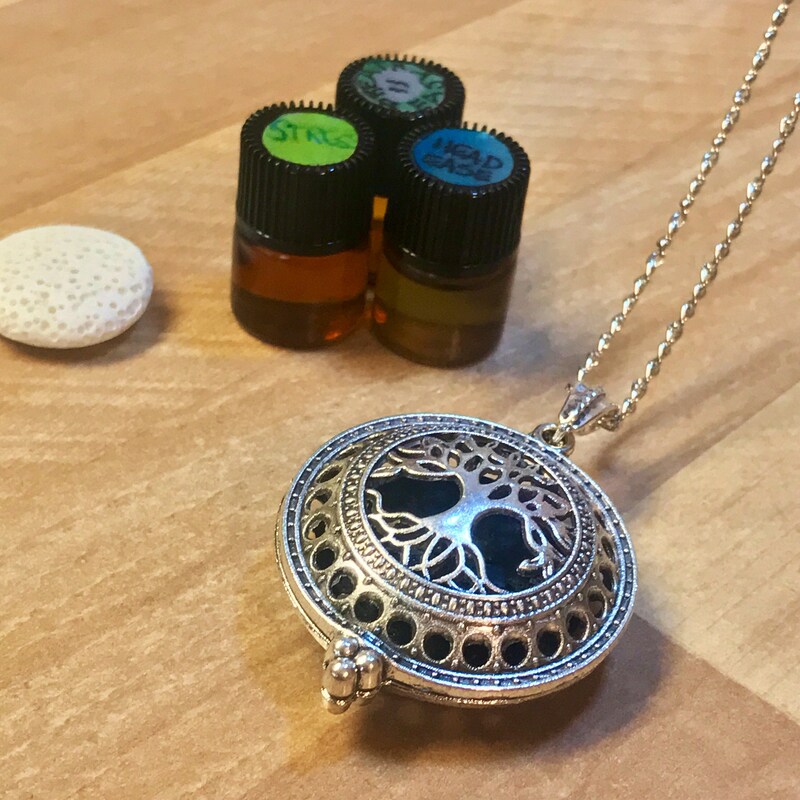 You are not an island. 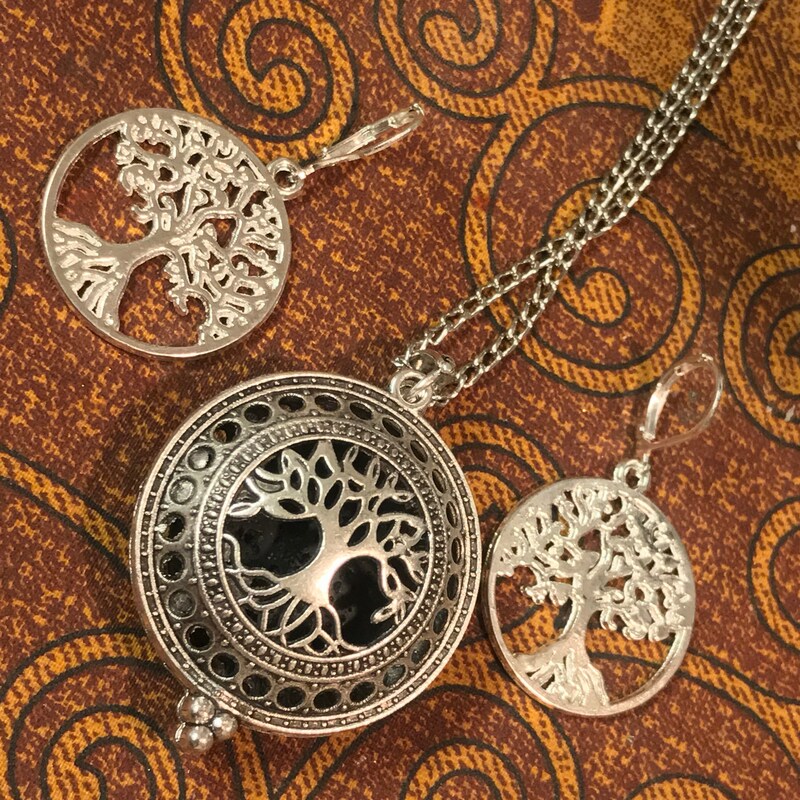 Everyone is connected. 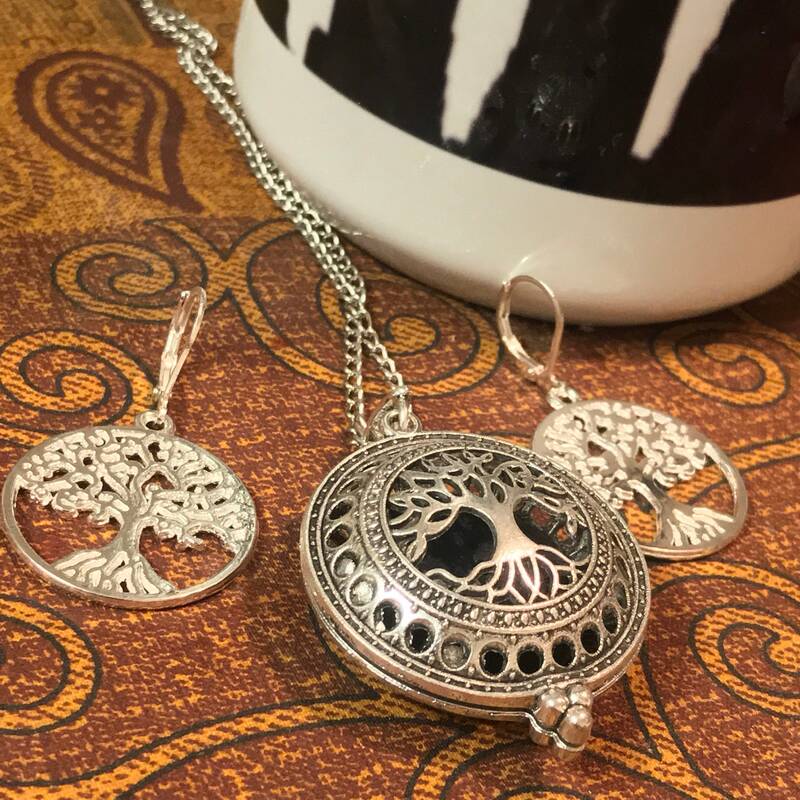 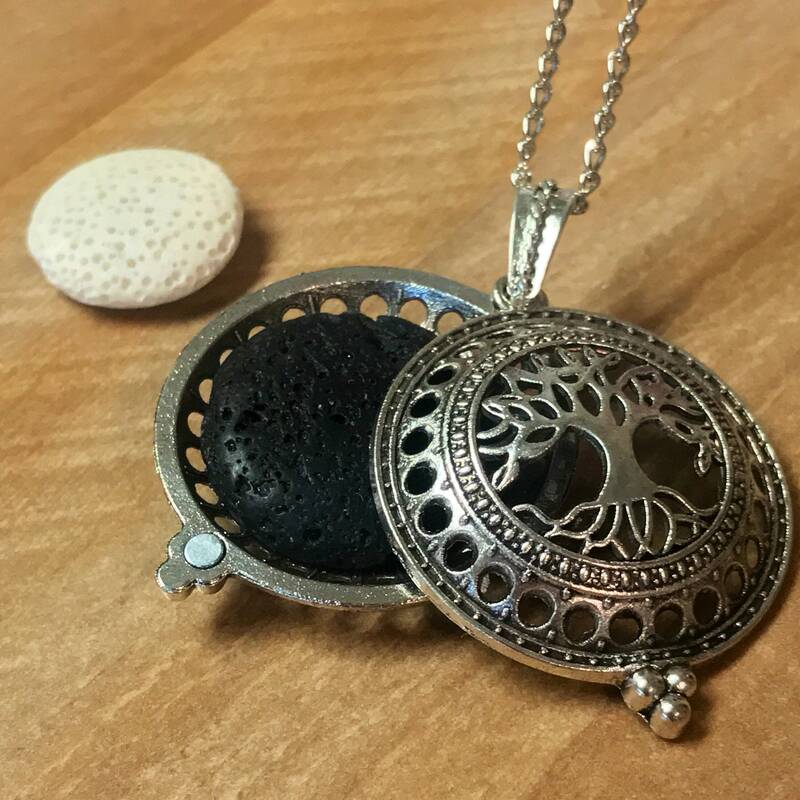 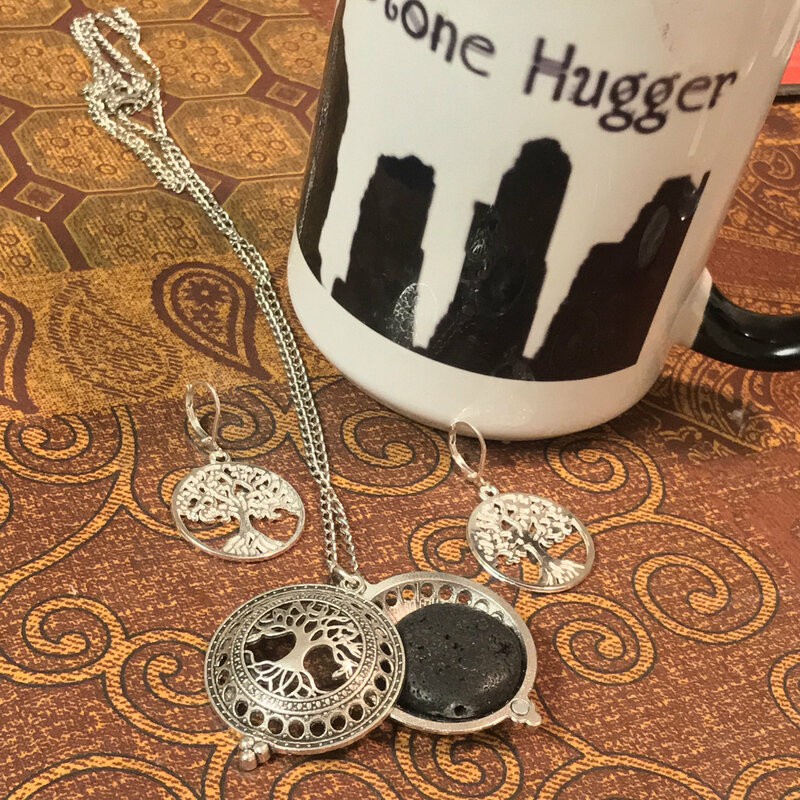 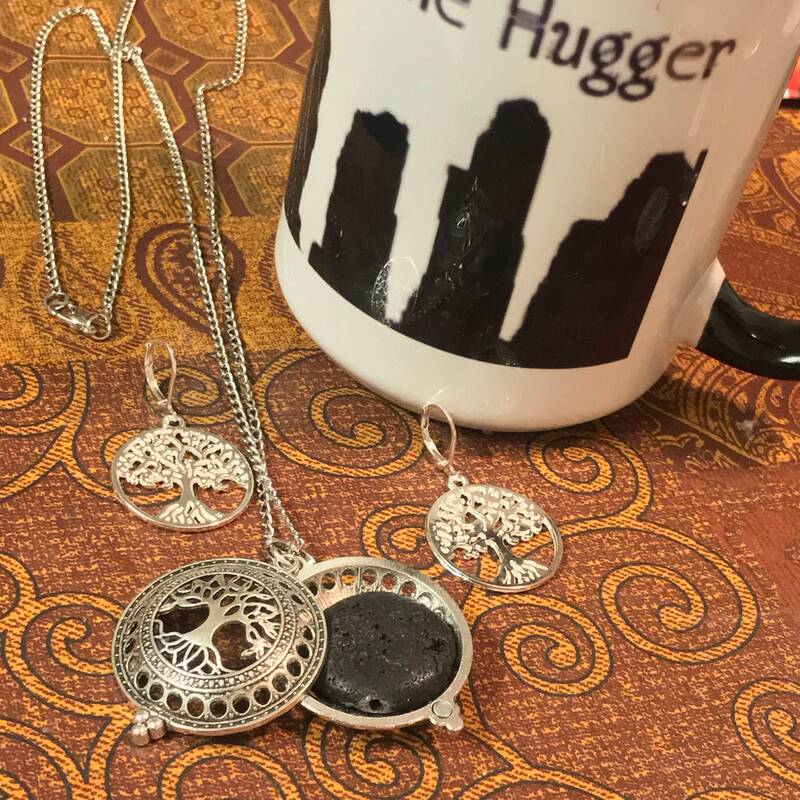 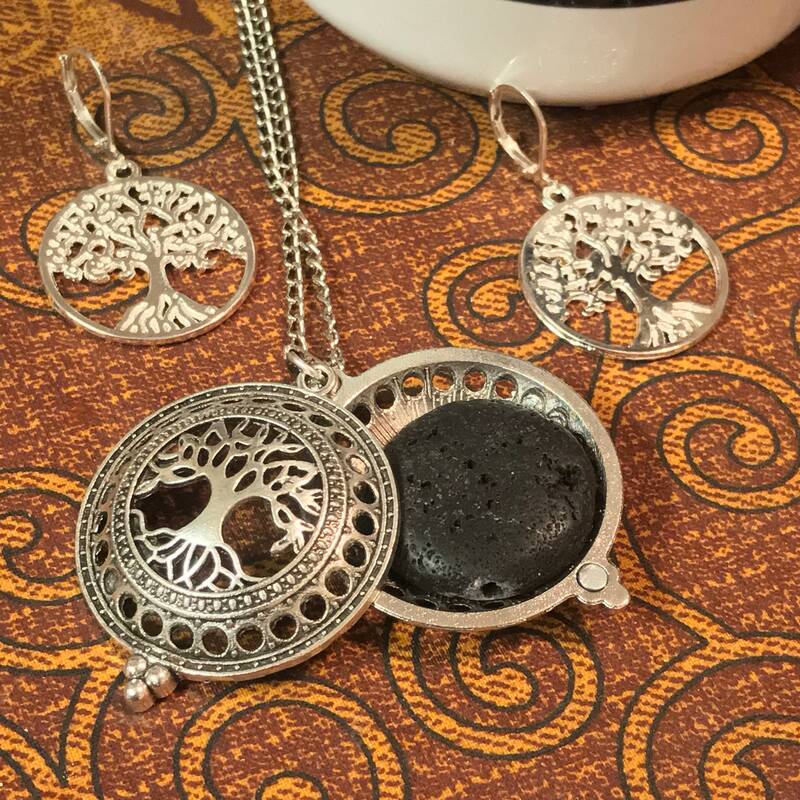 Locket can be used for a photo (not included) or to diffuse your favorite essential oil or perfume with the lava stone included inside and black. 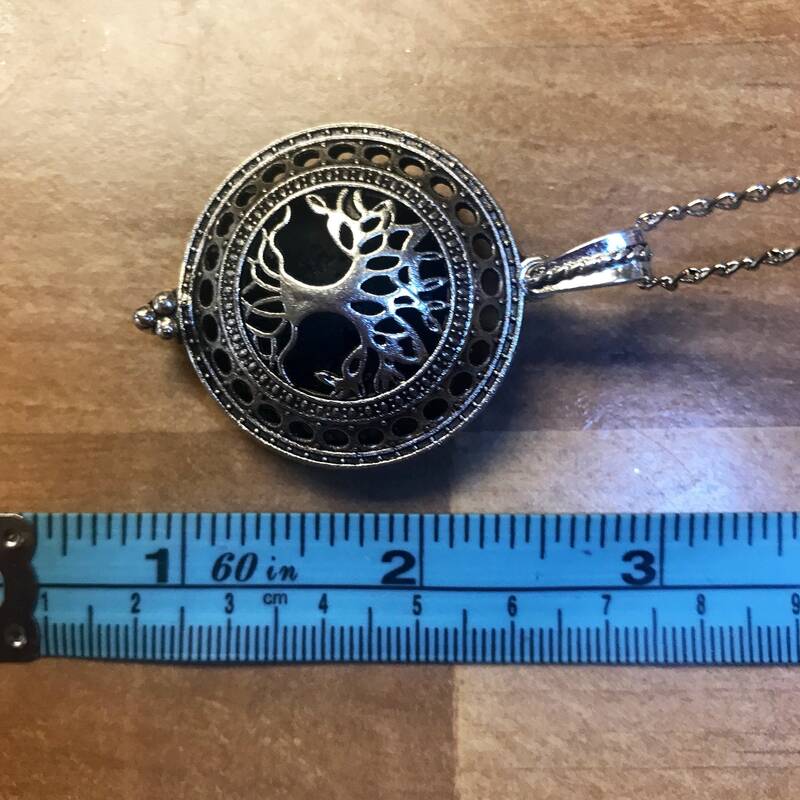 It is about 1.25" tall and comes as shown with this 24" silver plated petite cable chain. 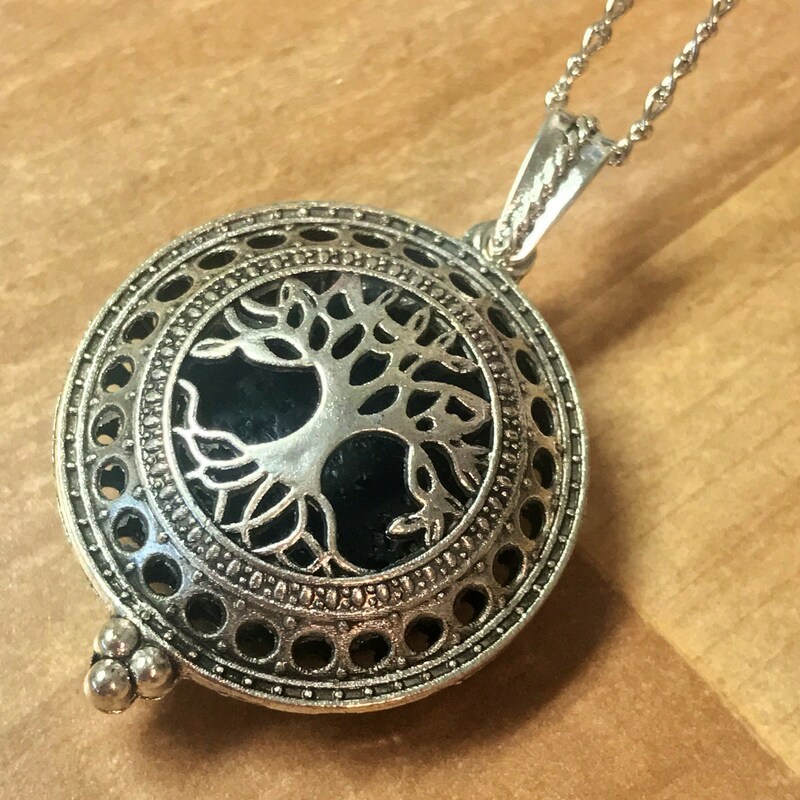 Comes in a small box to give as a gift or keep for yourself.